This morning we met with our onboard guest sommelier Monika, who gave us an informative lecture about the wines of the Rhine-Moselle region. She discussed the types of wines that we will find in the region as well as how to read the bottles to find the variety of wine, quality, etc. The weather was clear, sunny and cool as we transited the river. The river is very built-up with many modern towns and villages along the way, contrasted with very old stately mansions and castles. Vineyards rose from the rivers edge steeply up the surrounding hillsides in perfect rows. Lush trees surround the towns, all beginning to turn shades of yellow, orange and red. 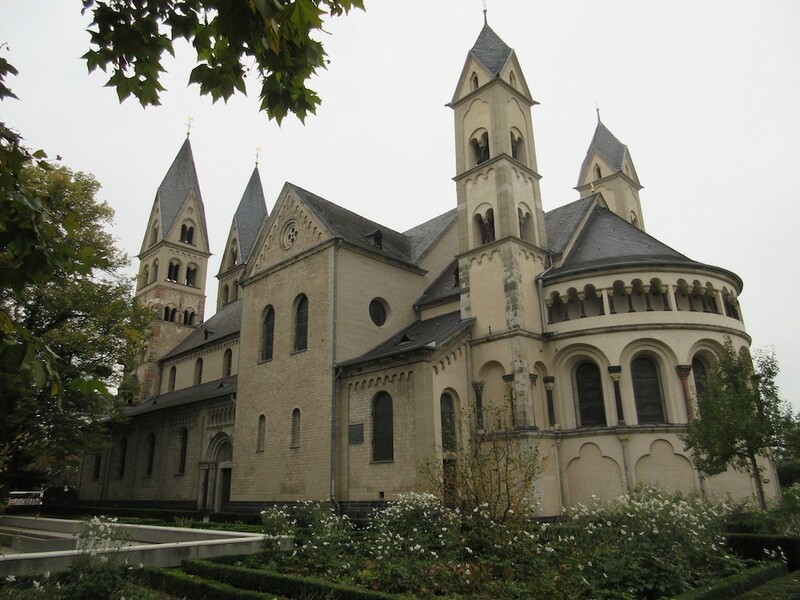 About 3:00pm we arrived in the town of Koblenz, a 2,000-year-old city strategically set at the confluence of the Rhine and Moselle Rivers. Koblenz is an ancient city in central Germany, and a gateway to the terraced vineyards and ruined castles of the Rhine Gorge. 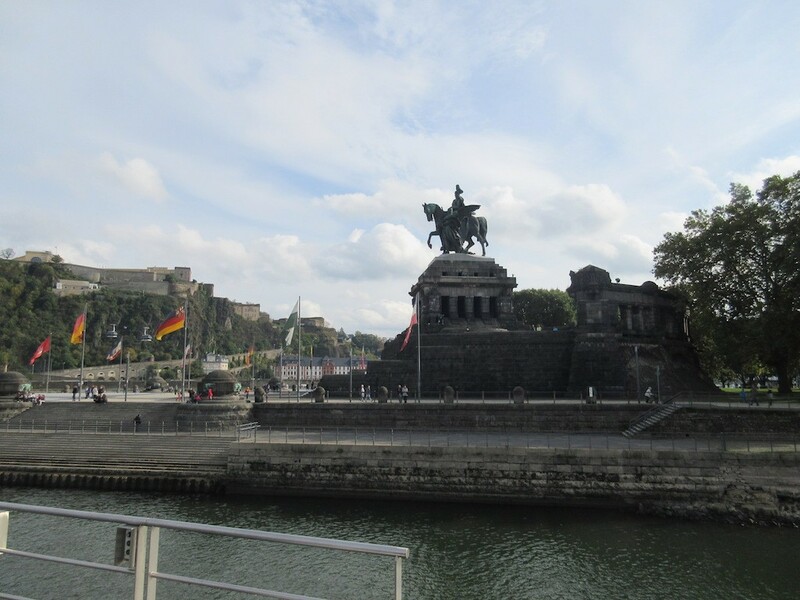 In the center, a monumental statue of William the Great marks the confluence of the two rivers. A cable car connects to the hilltop Ehrenbreitstein Fortress, which hosts museums and cultural events. We took our own walking tour of the city including the fortress Ehrenbreitstein which we reached by cable car. Occupying the position of an earlier fortress destroyed by the French in 1801, it was built as the backbone of the regional fortification system by Prussia between 1817 and 1828 and guarded the middle Rhine region, an area that had been invaded by French Troops repeatedly before. The Prussian fortress was never attacked. 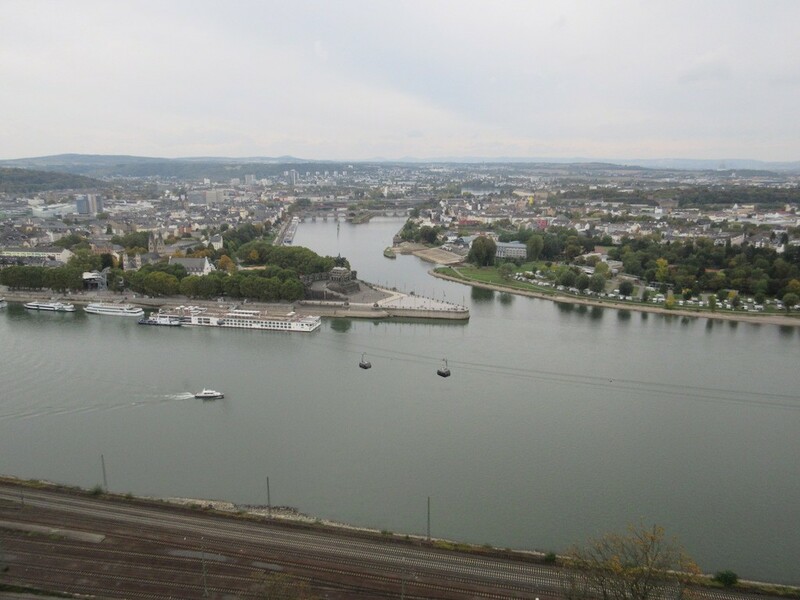 Since 2002, Ehrenbreitstein has been part of the UNESCO World Heritage Sites Upper Middle Rhine Valley. The views from the fortress atop the hill are spectacular. You not only get a great view of the Rhine and Moselle Rivers but a great view over the city. The town is very charming with a large central square featuring a fountain and statue representing 2,000 years of history. 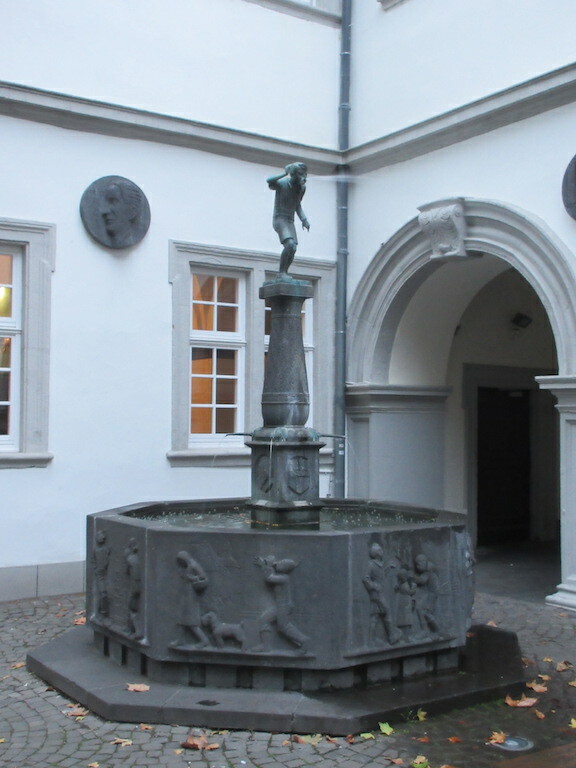 There are several playful statues around town including a young man who will spit water at you if you are standing in the wrong spot. After dinner we were treated to a local classical music group called La Strada. One young man playing the guitar and two young women playing the violin entertained us for about 45 minutes. They looked to be college aged and were excellent musicians. Several folks napped during the concert but most appeared to enjoy the classical music. This entry was posted in Rhine and Moselle River Cruise 2016 by markcujak. Bookmark the permalink.